In cooperation with the 2018 partypoker LIVE MILLIONS Russia poker festival at the stunning Sochi Casino and Resort, the Triton Super High Roller series headed straight from their successful festival at the Landing Casino in Jeju, South Korea, to Russia and brought most of their High Rollers and the feature table setup over. the Finn quickly tripled his stack within just one hour after taking his seat. 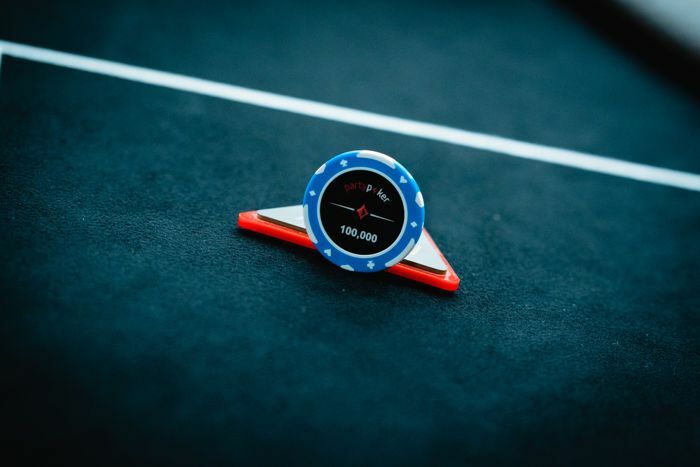 The first of two Triton Poker events, the RUB3,000,000 High Roller (~$50,000), kicked off with a delay of an hour. However, as soon as the first two tables were set, the field kept growing, and a field of 37 entries emerged. At the end of level eight, just 24 players bagged up chips for the night with a very familiar face of the High Roller circuit at the top of the leaderboard. 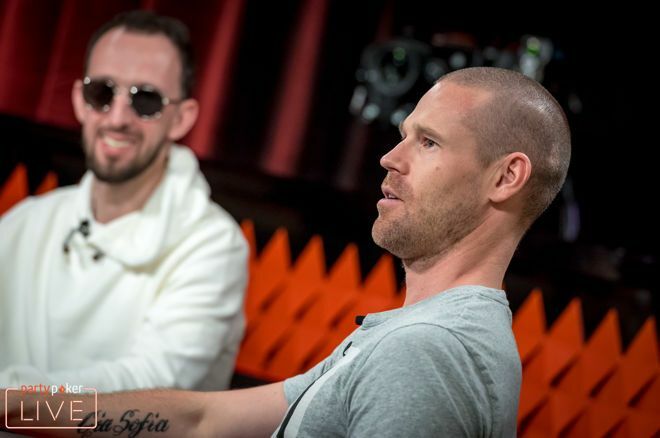 Patrik Antonius was among several players to take advantage of the extended late registration and the Finn, who has been enjoying a very successful year at the live poker tables thus far, quickly tripled his stack within just one hour after taking his seat over on the feature table. Antonius bagged up 151,700 and claimed the lead after Day 1 ahead of Johannes Becker, who advanced with 137,500. Both Antonius and Becker already have a partypoker LIVE MILLIONS trophy to their name after each winning a €25,500 High Roller earlier this year at the King's Casino in Rozvadov. In a field filled with big names of the international poker circuit and Asian high stakes players, Igor Yaroshevskyy bagged up the third-biggest stack with 128,300. Other notables to make it through include Timothy Adams (125,700), Koray Aldemir (120,000), Aymon Hata (118,100), Ivan Leow (100,200), partypoker's Philipp Gruissem (73,000), and Andrey Pateychuk (65,900). Triton founder Richard Yong advanced with 61,500, while Paul Phua was ousted in one of the last hands over on the feature table after his ace-king failed to hold up against the king-jack of Shyngis Satubayev. Manig Loeser entered three times and eventually made it through with 36,700. Among those to bust were such big names as Alexey Rybin, Niall Farrell, Wai Kin Yong, Devan Tang, and partypoker ambassador Anatoly Filatov. Rybin's super aggressive play backfired, and the Russian became one of the early casualties. First, he cracked the kings of Loeser with five-four, only to bust with kings when Johannes Becker turned a flush. 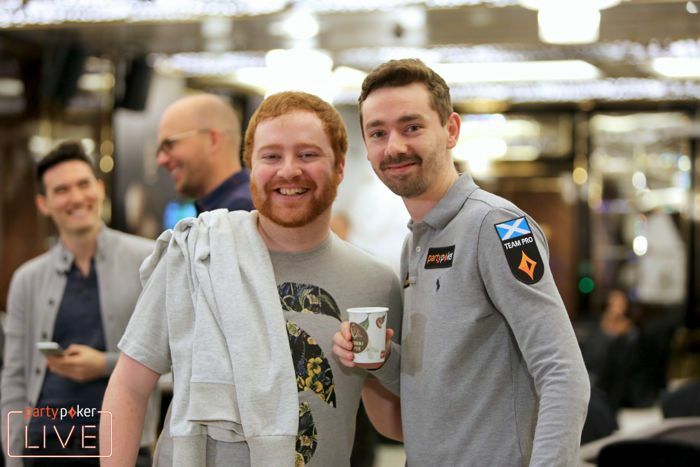 As far as Farrell is concerned, he sent his first stack over to Becker as well and the second attempt ended with ace-queen against the pocket queens of Koray Aldemir. In the last level of the night, several players joined Farrell on the rail, but all of them have another chance at High Roller glory as the registration remains open for the first three levels of Day 2. The action is set to recommence at 1 p.m. local time with blinds of 500/1,000 and a button ante of 1,000, giving all new entries 50 big blinds. As usual, the PokerNews team will be on the floor to provide all the action with the live stream of the two feature tables running on a security delay of 30 minutes. While the event is scheduled to play down to the winner on Day 2, the High Roller action will continue right away with Day 1 of the Super High Roller as of 5 p.m. local time on Wednesday, August 8th, 2018. For the seat draw and all live updates, check out the Triton Poker Sochi live reporting.